Heat loss through a wet wall is up to three times higher than the loss through a dry wall. A wall that is saturated by absorbed rainwater soon becomes a cold damp wall with lower than expected insulation values. When penetrating damp tracks through solid walls it often causes damp patches on the internal surfaces. In the case of cavity walls the excess dampness in the outer leaf can result in wall tie corrosion ultimately leading to a homeowner having the expense of undertaking wall tie replacement with a new remedial wall tie system. Additionally, as water expands up to 10% when it freezes, excess damp penetration can cause the surface of the masonry to become cracked and blown due to frost cycles. Penetrating damp can also cause unsightly salt marks - white efflorescence as well as moss and mould growth on the surface of the masonry. This can have a detrimental affects the aesthetic look of building and its value. Treatment with a Twistfix Masonry Water Repellent can help to prevent this occurring. 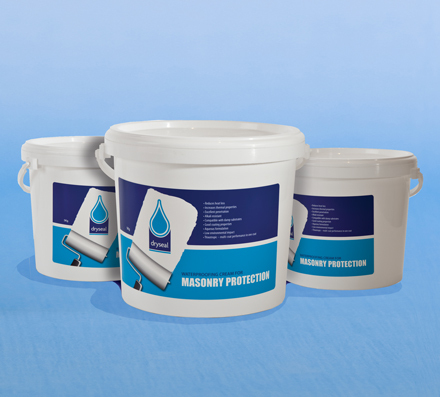 For up to 5 years protection Masonry Water Repellent is an effective treatment for use above ground on several materials including porous brickwork, cement renderings, concrete and stonework . 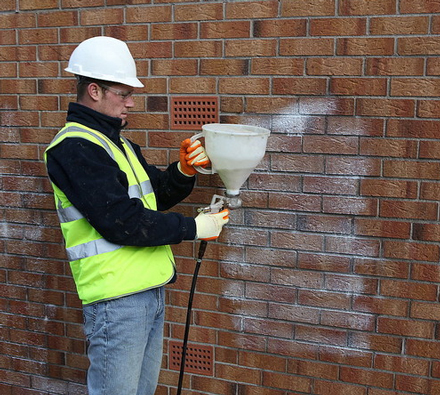 Any surfaces that have been treated with Twistfix Masonry Water Repellent remain permeable to vapour so that the moisture does not remain trapped and thus allows the structure to “breathe”. The treatment can be applied using a brush, roller or spray and in some cases where the surface is highly absorbent then two coats mat be required. You can purchase Penetrating Damp Treatment in 5Ltr and 25Ltr tubs. 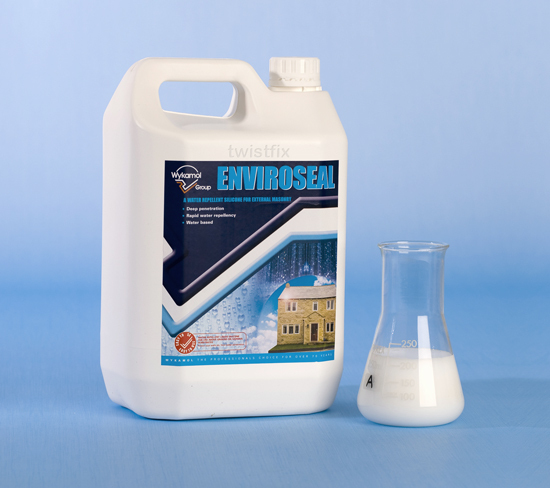 Coverage for high absorbent surfaces is 2-3m2 per litre per coat and dense surfaces is 4-5m2 per litre per coat. Where conditions are severe or where protection for up to 20 years is required then Dryseal Waterproofing Cream provides additional protection for exposed or vulnerable structures. It can be applied in just one coat unlike a liquid repellent. This is a highly professional water repellent used on brick and stone structures including bridges, tunnels, monuments and building facades. The siloxane found in the cream works by penetrating the substrate within a very short time. This is usually 30mins to several hours and full resistance to rainwater is normally achieved within an hour. The white layer that is evident when applying the Water Repellent Facade Cream disappears completely, leaving the structure water proof but permeable to water vapour. This allows the structure is allowed to “breathe" and the moisture to evaporate. You can apply the cream using a brush, roller or spatula and is available in a 3kg tub with a coverage rate of 0.2kg per m2. 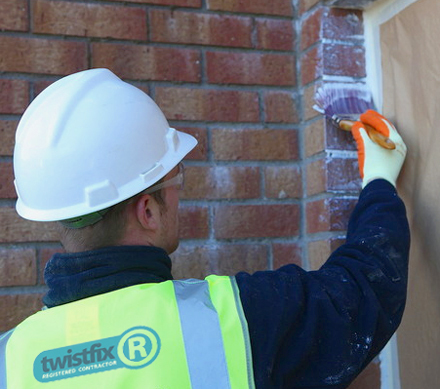 Twistfix supply an array of damp proofing products to protect the value and structure of your home. For more information then please contact us on 0845 1236007 or email info@twistfix.co.uk.